The medical system in Thailand is considered one of the best in Asia. Since 2002, Thailand has offered its citizens and residents universal health care coverage. They changed their healthcare financing scheme to extend healthcare benefits to millions of people who were previously without it. Initiating this financing scheme took over 25 years, but finally it was realized after the turn of the century. It covers procedures such as surgeries and radiotherapy, along with the basics such as prescription drugs and general physician visits. This puts the Thailand healthcare system on the same level as some of the best first world healthcare systems in modern times. The Thailand healthcare system is well respected and is emulated by other neighboring countries. Thailand has become an attractive option to medical tourists from other countries. Even to outsiders, Thailand opens up its array of medical services to medical tourists who want to take advantage of their advanced healthcare system. Travel insurance policies are available for purchase which enable people to purchase medication or receive medical treatment in Thailand. With Thailand training and retaining some of the best doctors in Asia, it is no wonder that people are eager to receive medical treatment in Thailand. Thailand is a major destination for medical tourists. Doctors in Thailand perform very important procedures and treatments, including surgeries, general check ups, lab tests, medical testings and other procedures. Pharmacists dispense necessary medications to patients who depend on it. In many other countries, these services are inaccessible. And though there are some conditions that are not covered by Thailand’s healthcare system, a vast majority of them are. 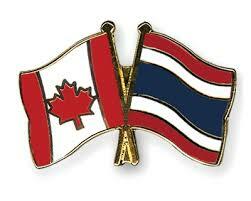 Thailand and Canada have a good relationship with one another. Medical tourism is a common practice between Thailand and Canada. Both countries have well respected medical systems, both regionally and globally, and both countries benefit from the other by using them as a medical tourism destination. Thailand’s medical system is one of the best in Asia. With some of the more modern medical technologies and some of the best trained medical professionals in the Eastern world, Thailand offers medical tourists the opportunity to take advantage of specialized, regional medical practices that one cannot find in the Western world. Canada offers a desirable socialized healthcare system with some of the best trained medical professionals in the Western world. Canada has a strong reputation for how solid its medical system is, and people are known to come to Canada from all over the world to take advantage of its medical expertise. Medical tourism between two well respected medical communities like Thailand and Canada is positive in many respects. It encourages the exchange of ideas and resources, which benefits both countries. It helps the economies of both countries by recycling money between them. And the citizens and residents of the countries are benefited by receiving the medical care they require, not being limited to what their own country provides if it is not tailored close enough to their needs. 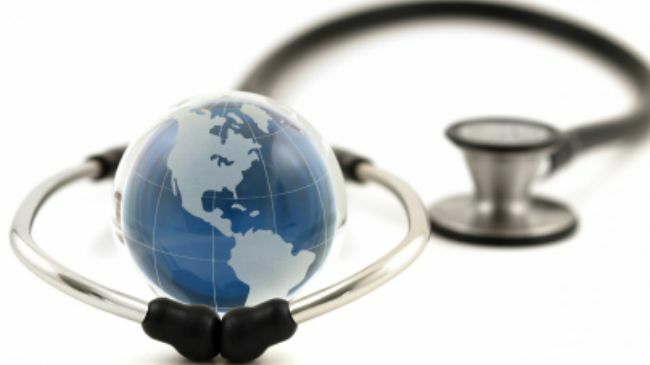 Many dignitaries and diplomats are hopeful that the medical tourism trend does not slow down. It represents a healthy aspect of globalization that encourages good foreign relations and customs. If you are in need of a medical procedure or treatment but your own region does not offer what you are looking for, do not hesitate to research what is available abroad. Canada’s medical system is known to be one of the best in the world. It is often the envy of United States residents. Canada is one of the world’s leaders in medical science, and the trained medical professionals that come out of Canada can work wherever they choose. 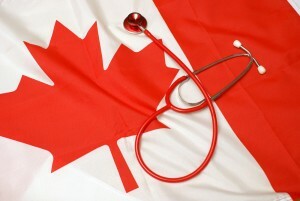 The Canadian medical system is a desirable place for medical professionals to obtain work in. It is common for Canadian medical professionals to live and work in Canada once they finish their schooling, but it is also common for Canadian medical professionals to seek work in the United States or overseas in a non-socialized healthcare system. The best thing about the Canadian healthcare system is that it is socialized. This means that provincial healthcare is automatically made available to all residents and citizens of Canada. It is true that Canadians pay more annual taxes in order to cover the costs of their socialized healthcare system, but Canadians are proud of and celebrate their socialized medicine because it is reliable and affordable when it needs to be used. Canadian healthcare has been socialized in Canada for a very long time, which means it flows well as a system and is perfected in its operations. This is not to say that the Canadian medical system is not without its flaws as well. Criticisms of the Canadian healthcare system include that it is too flooded, its identity is becoming muddled in the shadow of the United States and that Canadian doctors too often do not want to stay in Canada. It is true that sometimes in heavily populated areas of Canada, hospital waiting rooms are overflowing and people are not processed in any kind of timely manner. The Canadian healthcare system is largely socialized, but buying a private policy can get a Canadian an array of things they would otherwise not have access to. This makes it a little too reminiscent of United States healthcare, and not in a good way. The Canadian healthcare system also has problems retaining its own doctors. Many are lost to the United States where they can make a better living. Many people also lament that the Canadian healthcare system does not include addiction and mental health treatment. Medical tourism is the practice of traveling for the purpose of receiving health care abroad. A person would want to do this if they could receive better quality care or more reasonably priced care by traveling. In the modern day, with all of its access to easy, convenient travel, medical tourism trends are at an all time high. More people are engaging in medical tourism than any other time in history. Many people are calling this a revolution that could dismantle humanity’s rigid need for international borders. Medical tourism is not a brand new phenomenon. People of status have been traveling in order to receive medical care since ancient times. Past pharaohs and kings made treks across deserts and wilderness areas in order to access the best medical care of the time. This tradition continued into more recent centuries, always favoring the wealthy in its practice. In modern times, with travel more accessible to the average person by air, car or boat, more people than ever before have access to medical tourism. This is not to say that medical tourism does not come with a considerable price tag. One must factor in the cost of travel with the price of the procedure or treatment they are seeking. This means that a person cannot engage in medical tourism if they are destitute. But the fact still remains that medical tourism is available to more demographics than it ever has been in the past. It often still requires saving up and budgeting, but it can be accomplished by members of the working class, depending on what they require of their medical travel. Medical tourism is a positive glimpse into the future. It is a practice that represents international cooperation and promotes good foreign relations. The medical industry is one that can afford to be largely separate from politics and lends itself naturally to international cooperation. The future of medical tourism is unknown as it is controversial to many national healthcare systems, but the freedom to take advantage of it is currently wide open.